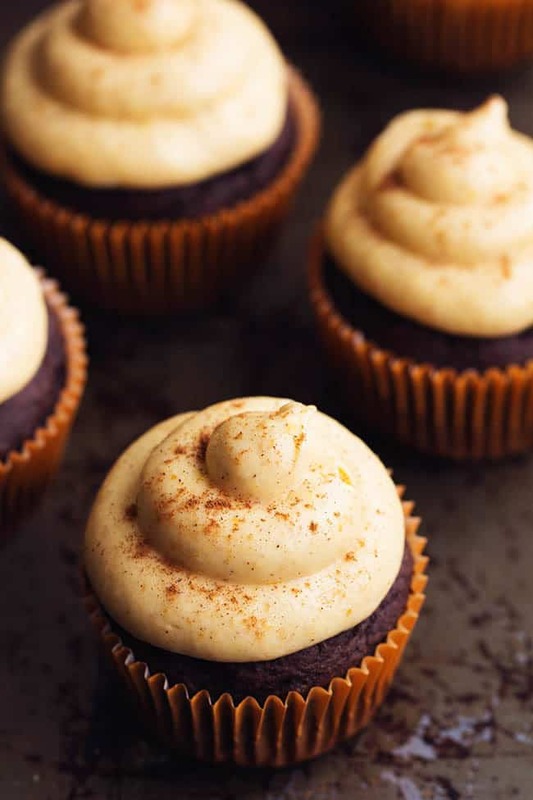 Moist chocolate pumpkin cupcakes with an amazing cinnamon pumpkin cream cheese frosting! These are the perfect fall treat! Today we are celebrating a birthday. And what better way to celebrate a birthday than with some cupcakes? It is the Pillsbury Doughboy’s 50th birthday this year! Pillsbury sent me a box of goodies and I knew that I wanted to bake some cupcakes to help us celebrate. Monday was the first official day of fall. We have gotten in a good routine now that school is back in session. It can be pretty busy and hectic with school. Homework seems to take over but my kids always look forward to some kind of after school snack or treat. I loved that these cupcakes were easy to make and perfect for this time of the year. These chocolate pumpkin cupcakes couldn’t have turned out better. They were perfectly moist and the cinnamon pumpkin cream cheese frosting on top was to die for! I chose to use the traditional chocolate cake mix. It makes these cupcakes so easy to throw together. 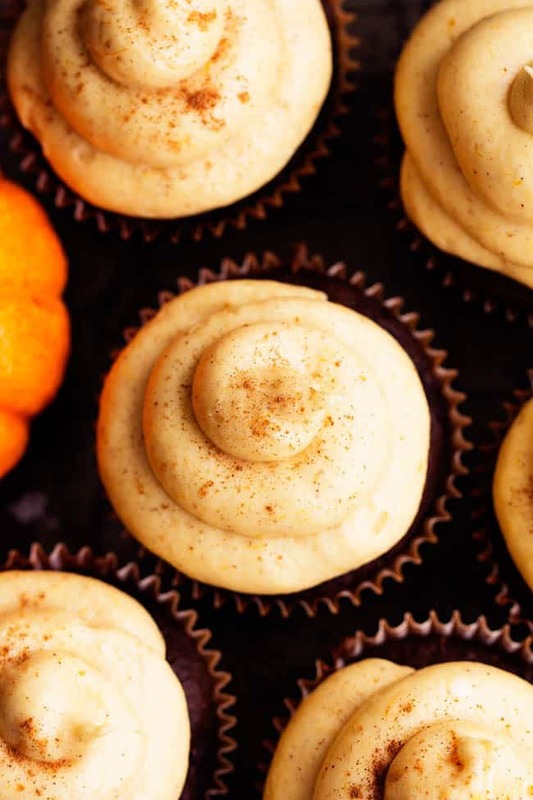 With just a few ingredients and some canned pumpkin, these cupcakes are ready to throw into the oven in just a few minutes. They bake perfectly moist and have such a yummy chocolatey pumpkin flavor. Cream cheese is my favorite kind of frosting but when you add some pumpkin and cinnamon, it takes these cupcakes to a whole different and delicious level! 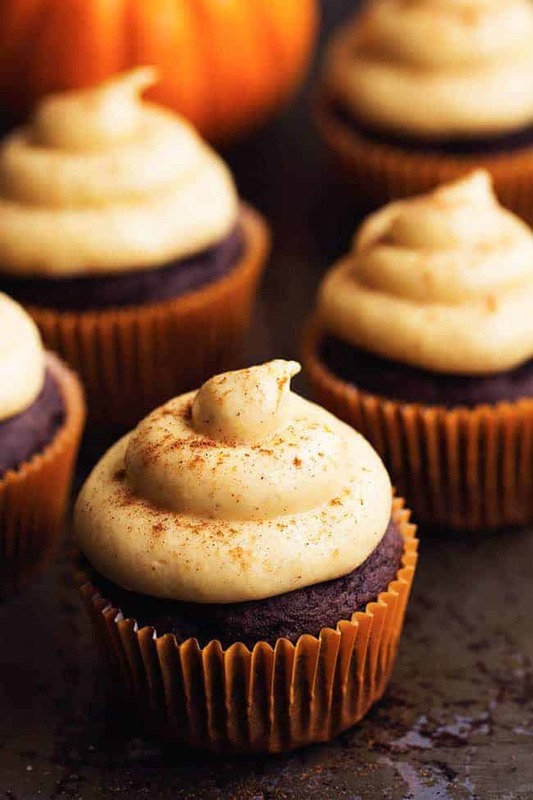 The flavor is absolutely amazing and the perfect fall flavored frosting on top of these chocolate pumpkin cupcakes. 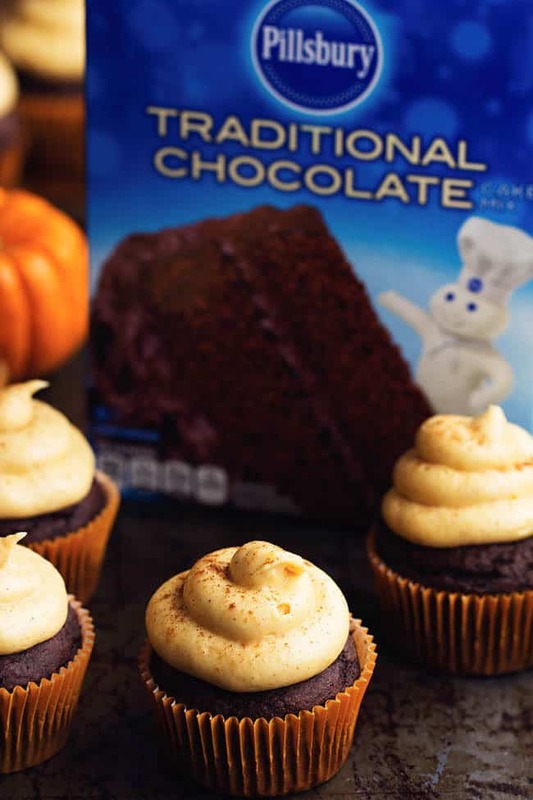 Whether you are celebrating the Pillsbury Doughboy’s 50th Birthday, the fall season, or the fact that school is back in session, these cupcakes are perfect for any occasion. My family gobbled these down and they will become an instant favorite with the first bite! Preheat oven to 350 degrees. Line a 12 muffin tin with liners. In a large bowl mix the cake mix, canned pumpkin, eggs, vegetable oil, cinnamon, and nutmeg until incorporated. Fill each liner ⅔ of the way with the batter. Bake for 20-22 minutes or until toothpick comes out clean. Let cool completely before frosting. To make the frosting: Beat together the cream cheese and butter until creamy. Add the powdered sugar, pumpkin, and cinnamon until smooth and creamy. Frost cooled cupcakes. * I was compensated for my time creating this post as a brand ambassador for Pillsbury. All opinions expressed in this post are my own. Look amazing can they be frozen? I think the first ingredient in the frosting is supposed to say cream cheese? Not cream cheese frosting?? What did you use to put the frosting on the cupcakes? Looks PERFECT!! Yes, they can be cooked in the oven. They taste great! I made these last year for my husband’s office and for my bunco group. They are awesome! Super moist and tasty. Even though you’re using a cake mix you would never know. The frosting is to die for! So creamy and delicious! The balance between the pumpkin and cinnamon flavors with the cream cheese and sugar is just perfect! Making them again this weekend! I made these for the bake sale at my school! They looked and tasted great and were a huge success! I would highly recommend this recipe and will be using it in the future!